Karen Isley (whose real name is Jenny Hayden-Forrester) is a well-known artist who gained fame thanks to her original paintings of American country landscapes and small towns. Starry skies and bright dawns have become her work's trademark. 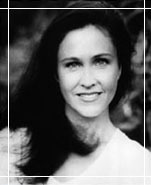 Karen has won several awards for her art. Currently she runs an art gallery in her hometown of Madison, WI, where she resides with her Pulitzer Prize winning husband, photojournalist Paul Forrester, and their children. The Karen Isley Art Gallery has created this website to feature the artwork of young graphic designers. ''Internet and virtual art is just another way to express your feelings and communicate your thoughts,'' Isley said.